Hey all, searched around and couldn’t find a very definitive answer. I broke the headlight housing on my 390 the other day. Looking to replace it with an aftermarket brighter unit. Please sound off your suggestions on best fitment and price. I don’t need the sun shining from the front of my bike but I like to see and be seen. Thoughts on the trail tech x2? Baja designs? Thanks in advance. BD Squadron Pro, 08-13 KTM headlight mask, 2011 FE570S fender and Skene dimmer. It's all pretty much plug and play. Did you use the BD ktm 05-07 kit or the 08-13 kit? also did you get the A/C or D/C? Last edited by venturaphoto; January 31st, 2019 at 10:47 AM. You will want to order the DC kit. I pieced my kit together, but basically ended up with the 08-13 kit. 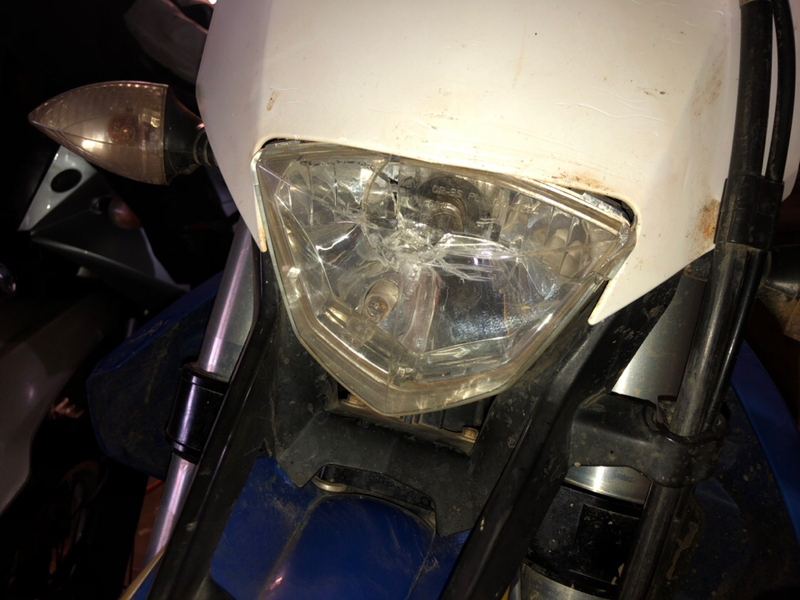 Just know that the 08-13 headlight mask needs a new fender to mate up to. That is why I bought a 2011 FE570S blue fender as it runs the same headlight mask as the 08-13 KTM models. If you want to mod the kit (like in the link I attached previously) and use your existing headlight mask and front fender, you can order the 05-07 kit. As a side note, if you order the 05-07 kit and then decide you'd rather just go with an 08-13 mask and new fender all you have to do is purchase the 08-13 Squadron mounting plate from BD...it is $30 shipped. The 08-13 Squadron Mounting Plate PN is 66-0044. The Skene Dimmer is PN 66-0088. With the Squadron Pro I have plenty of light to ride comfortably at highway speeds at night.